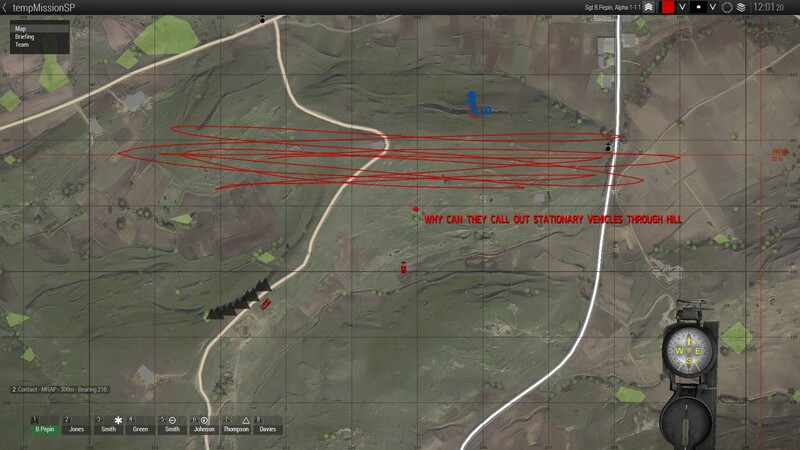 AI units are calling out targets on vehicles they can't possibly know about. I noticed this while playing many different missions with various mods and even testing this behavior in vanilla and the result is the same. 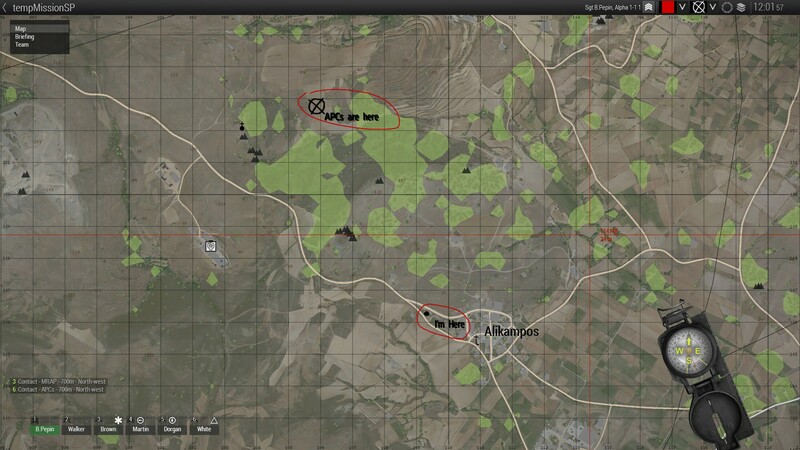 A stationary APC behind a hill will get called out by my AI subordinates from over 700 meters away for no reason. I have tested this on my other PC and the result is the same, with or without mods. See attached screenshot for example. I am holding still and my AI are constantly calling out a stationary APC and MRAP behind the hill. This has been plaguing my game for a while and makes any operation with vehicles play out very awkwardly as infantry and other vehicles go into combat mode basically on mission start. Put down playable unit with AI subordinates. Place vehicle out of line of sight. AI will call out "Contact - APC - 700m - West"
I had a friend test this and it's not happening on his game, why is it effecting both my PCs with no mods? Issue persists after a reinstall. The latest dev branch update seems to have fixed this issue, thank you very much! You are welcome. :) Closing issue. I observed this problem for a long time and was sure that this was an AI-modification problem, but I was wrong.